One of the Jewish businessmen at the center of a reported federal corruption investigation rocking New York politics is the scion of a wealthy and politically-connected California Orthodox family, the Forward has learned. Jona Rechnitz, the 32-year-old real estate developer whose face and name have appeared daily in every New York City tabloid, is the cousin of a controversial ultra-Orthodox nursing home magnate who is a major donor to Israeli Prime Minister Benjamin Netanyahu. He is the son of a former national finance co-chair of Senator Lindsey Graham’s 2016 presidential campaign who is active in right-wing pro-Israel politics. Jona Rechnitz is under scrutiny for trips, meals and gifts that he and a Brooklyn-based colleague, Jeremy Reichberg, are suspected of giving to high-ranking New York City Police Department officials. Both Rechnitz and Reichberg have close ties to New York City mayor Bill de Blasio. Four members of the NYPD brass have been placed on desk duty in the midst of the probe. Rechnitz’s family ties to his well-connected father, Robert Rechnitz, and his wealthy cousin, Shlomo Yehuda Rechnitz, place his donations to de Blasio in the context of a broader web of political relationships cultivated by members of the Rechnitz family. At a 2013 dinner chaired by his father in Washington, D.C., Jona Rechnitz introduced a speech by Bill Thompson, then de Blasio’s rival in the Democratic mayoral primary, despite eventually backing de Blasio. The Forward reported on April 6 that Reichberg had flaunted his ties to de Blasio to exert influence within the NYPD’s 66th Precinct in the Boro Park neighborhood of Brooklyn. In 2014, Reichberg hosted a fundraiser at his home attended by de Blasio for the mayor’s Campaign for One New York, a controversial outside charity. The dinner raised $35,000. Yet it was Rechnitz who gave more to de Blasio, including $50,000 to the Campaign for One New York, as well as the maximum allowable contribution to his 2013 mayoral campaign. (De Blasio said April 8 that he would return Rechnitz’s donatiosn to the campaign.) And his political and social connections go much farther than those of Reichberg, who is a member of an insular Hasidic community in Brooklyn. Jona Rechnitz’s attorney Marc Harris did not respond to a request for comment. He told The New York Times that Rechnitz had not broken any laws. A former director of acquisitions at the U.S. subsidiary of Israeli billionaire Lev Leviev’s investment firm Africa-Israel LTD, Rechnitz now runs his own real estate firm, called JSR Capital. 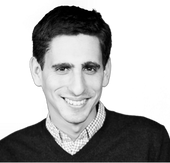 He is a graduate of Yeshiva University, the modern Orthodox college in Manhattan, and a resident of Manhattan’s Upper West Side. Rechnitz also appears to be something of a gambler. In 2012, he won $50,000 on a $1,000 bet that the first score of that year’s Super Bowl would be on a safety. Two years later, he won $25,000 more making the same bet. He told reporters that he had donated both wins to charity. In 2013, Rechnitz bet pharmaceutical billionaire Stewart Rahr $100,000 to the charity of the winner’s choice on the result of a Knicks game, and won. Jona Rechnitz’s father Robert Rechnitz is the former chair of the West Coast region of American Friends of Likud, a U.S. nonprofit that supports Netanyahu’s political party. He chaired the Iron Dome Congressional Tribute, a February 2013 event in Washington, D.C. attended by a large number of U.S. Senators, including Rand Paul, Mark Warner, Pat Roberts, and Jean Shaheen. That was when Jona Rechnitz introduced a speech by Bill Thompson. Robert Rechnitz declined to speak with the Forward. Rechnitz’s cousin Shlomo Yehuda Rechnitz, 44, is a major ultra-Orthodox donor whose nursing homes are facing scrutiny from state and federal regulators in California, according to a June report in the Sacramento Bee. Rechnitz is a major giver to Orthodox yeshivas, and was one of the largest donors to Netanyahu’s reelection campaign in December 2014. The Forward reported in February on rumors that Shlomo Yehuda Rechnitz was among the buyers of the muckraking anti-Orthodox website Failed Messiah. The website has essentially stopped publishing since its purchase by mystery buyers in early 2016, leading to suspicions that buyers meant to kill the controversial site. This story "Businessman Eyed in Brooklyn FBI Probe Is Scion of Prominent Orthodox Family" was written by Josh Nathan-Kazis.